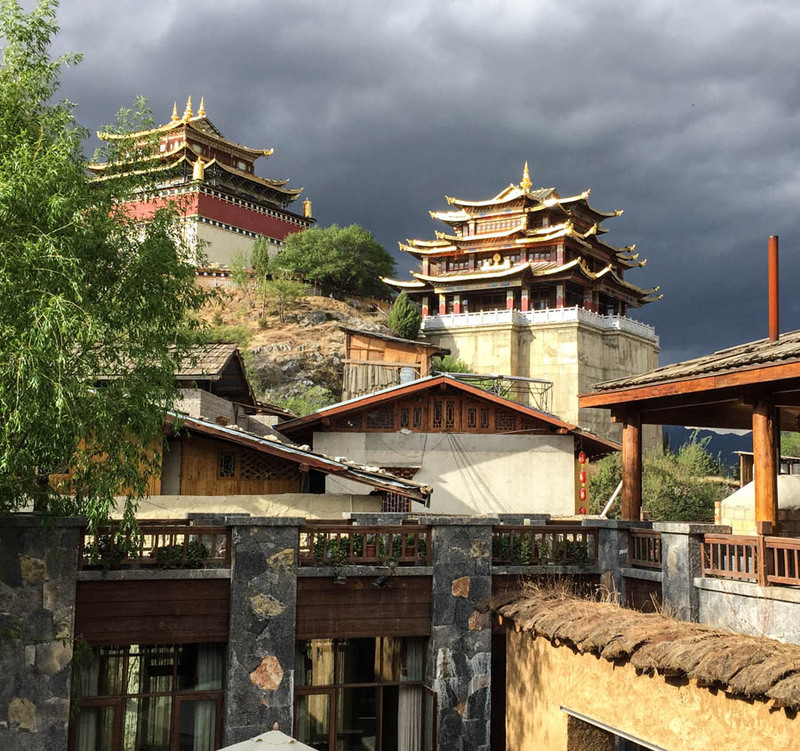 Categories: Cancer, Food, Travel | Tags: Buddhism, cancer, China, monks, Nixi, pottery village, Shangri La, Tenduling monastery, Tibet, Traveller's tips for China | Permalink. 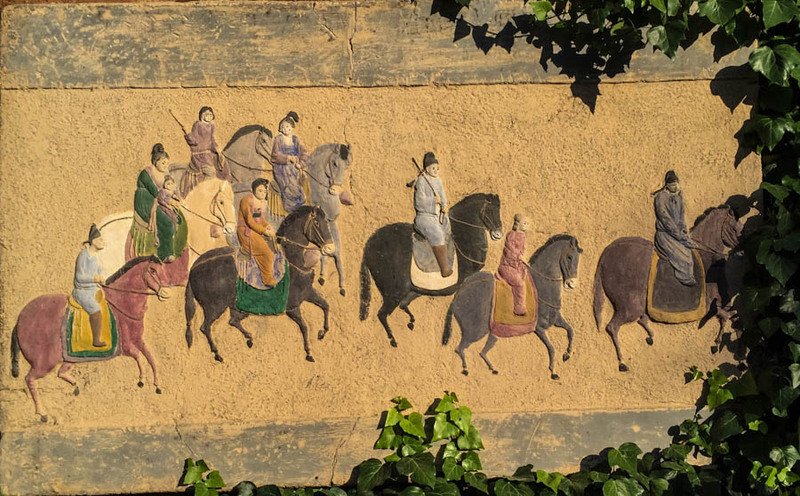 The Tea Horse Road 4: Shangri La at last! 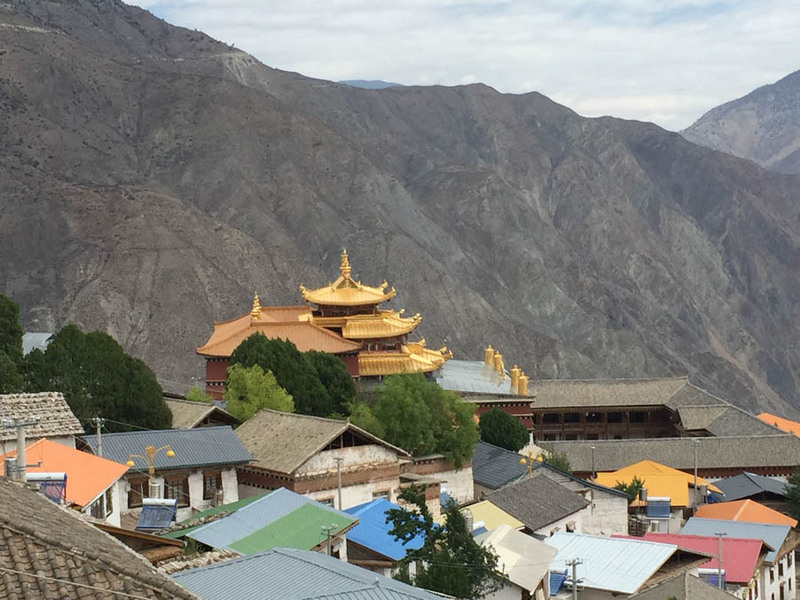 Categories: Cancer, Food, Travel | Tags: Audley Travel, chihahua, Ganden Sumtseling monastery, hotpot, Panchen Lama, Shangri La, Tea-Horse Road, Tibet, Tibetan mastiff, Tiger Leaping Gorge, Yak, Yangtze river | Permalink. Categories: Cancer, complementary medicine, Food, Travel | Tags: Buddhism, cancer, Cang Shang mountains, Catholicism in China, China, Dali, food markets, Jade Belt ROad, Laomadian Inn, Linden Centre, Shaxi, Shitzong Temple, Three Pagodas, Traditional Chinese Medicine, Xizhou | Permalink. 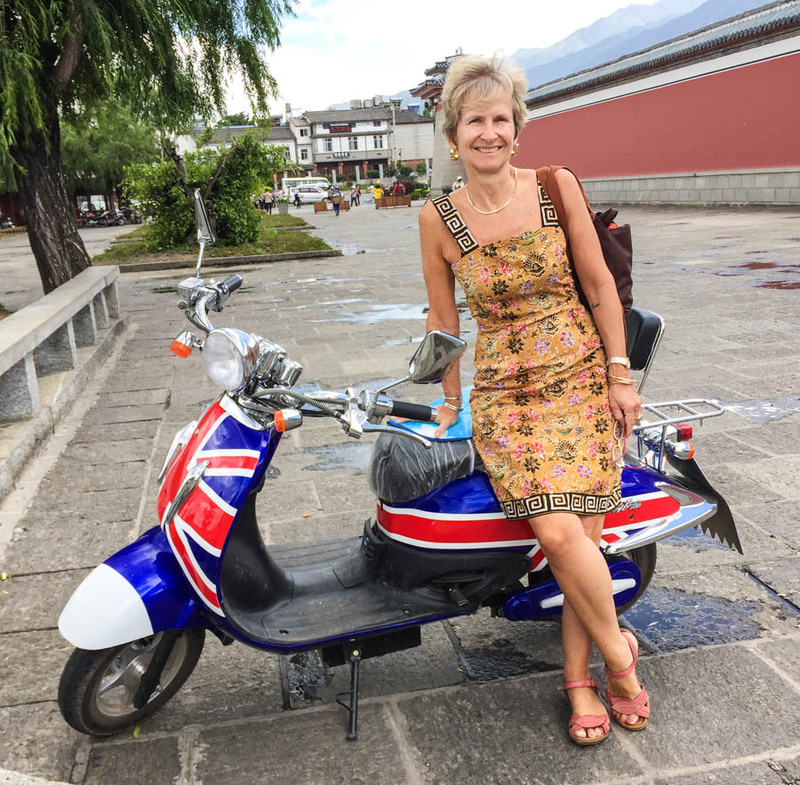 Union Jack scooter in Dali: better than a horse these days! 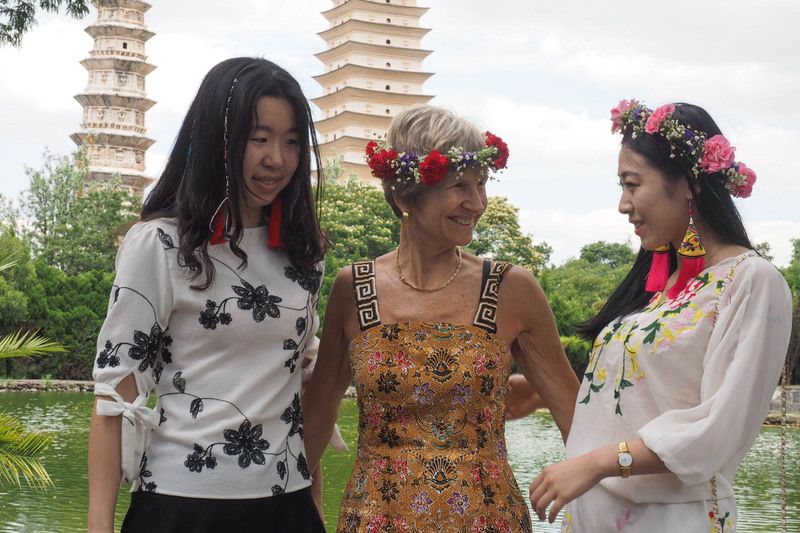 Categories: complementary medicine, Food, Travel | Tags: Bai, China, Dali, food, grown-up gap year, Kunming, Miao, Morsuo, Naxi, Peter Goullart, Tea-Horse Road, Travel, Yi, Yunnan | Permalink.